Now that autumn has arrived and our daily routines have taken over, it’s important to find time to relax and have a little fun. Perhaps the theatre isn’t the most popular form of entertainment, but at the theatre you get the chance to forget the hustle and bustle of everyday life and immerse yourself in another world. A trip to the theatre is a wonderful way to have a lovely day, expand your horizons and experience something new with your nearest and dearest. Most of us ought to be able to find something that suits our tastes on the theatre stage. With such a variety of shows this season, how could you not? Here, the Student Paper presents a sampling of the best the city’s theatres have to offer this coming winter. Photograph/Þjóðleikhúsið Consent was wildly successful in the British National Theatre last year. The National Theatre is a deeply rooted institution in the heart of downtown where the mood is usually festive. Before a show it can be a great idea to go out to eat at one of the nearby restaurants or have a drink at the theatre bar. The National Theatre has for years staged both Icelandic and international plays, old and new, and they are never lacking in quality. The first play the Student Paper wants to draw attention to is Consent by Nina Raine. This play was wildly successful in the British National Theatre last year. Under the direction of Kristín Jóhannesdóttir, the play will be performed at the National Theatre this autumn, and it will be exciting to see how it fares within Icelandic theatre culture. The play uses humor as a weapon to explore the phenomenon known as truth. Another exciting work to be performed within the walls of the National Theatre is a play named Moving Mountains in Three Essays. The play is by an Icelandic performing arts group, Marble Crowd, which has enjoyed great success in Germany. The play is a part of the international performing arts festival in Reykajvík: Everybody’s Spectacular. You can expect the performance to be among the more original plays offered up this winter. 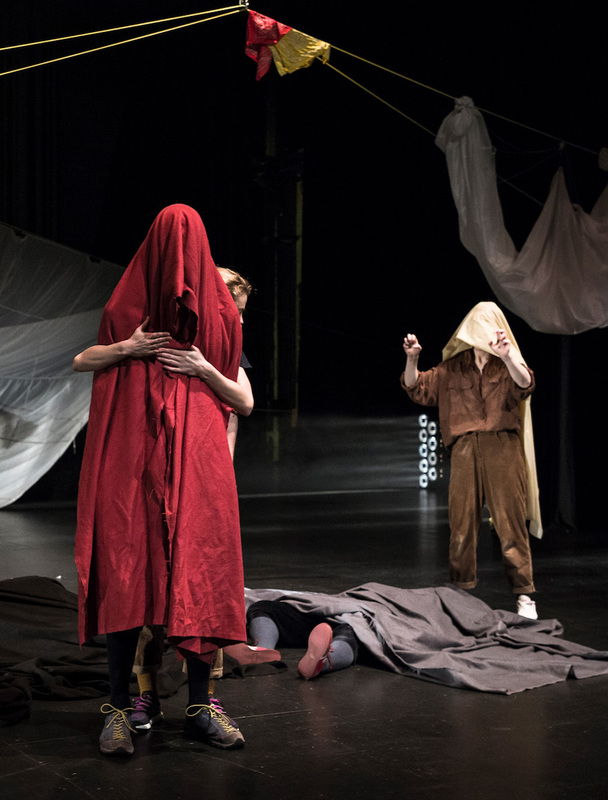 In addition to the traditional plays, the National Theatre will continue to offer popular shows such as the stand-up performance by Mið-Ísland and the improvisational performances by Improv Ísland. It should be noted that young adults can purchase a theatre subscription, that is four performances of your choice, for 14,900 instead of 17,900 if you contact the theatre’s ticket office. Photograph/Þjóðleikhúsið Moving Mountains in Three Essays is by an Icelandic performing arts group, Marble Crowd, which has enjoyed great success in Germany. The Reykjavík City Theatre is easily accessible and you’ll never have trouble finding a parking space there. The theatre stages ambitious performances that can be enjoyed by all. Spectacular reinventions of well-known musicals and popular plays have attracted the masses these past few years. But since these plays receive plenty of attention in other media, the reporter would like to draw your attention to some other productions on offer. The play Every Brilliant Thing by Duncan Macmillan premiered earlier this autumn. The play People, Places & Things by the same playwright was performed in the National Theatre last year and received great acclaim. Valur Freyr Einarsson is the sole performer in the play Every Brilliant Thing which is directed by Ólafur Egill Egilsson. The play centres around sadness being fought off by happiness, and directly addresses the issue of mental health, which has been a prominent theme in the national discourse recently. Another intriguing project the City Theatre is working on is Núna2019. Three young playwrights, Hildur Selma Sigurbertsdóttir, Matthías Tryggvi Haraldsson and Þórdís Helgadóttir, were each tasked with writing a 30-minute play, all to be shown together under the direction of Kristín Eiríksdóttir. The plays will premiere on January 10. The Reykjavík City Theatre certainly scores points for giving the playwrights of the future a platform to develop and show their work. The theatre offers a subscription for those 25 years of age or younger. Subscribers receive four performances of their choice for only 12.900, more than 50% off the price of individual shows. Photograph/Tjarnarbíó The pressure of social media, the role of the mother and the baking of cupcakes are among the many topics woven together in Reunion. Tjarnarbíó is one of the city’s independent theatres. The ticket prices are usually a bit lower than in the big theatres and the shows are of a greater variety. This is where independent performance arts groups can step onto the stage, and young performance artists get to experiment. The theatre is a lively place, as there is always something original and exciting happening on the stage. Readers are encouraged to take a look at the theater catalog. Guests are welcome to take their drinks into the theater to enjoy during the show, which isn‘t permitted in the larger theaters except in rare instances. This November the performing arts group Lakehouse will premiere a new play by Sóley Ómarsdóttir, Reunion. The pressure of social media, the role of the mother and the baking of cupcakes are among the many topics woven together in this play, which is directed by Árni Kristjánsson. Reunion stars Sólveig Guðmundsdóttir, who was named actress of the year at the 2017 Gríma Awards, along with Sara Martí Guðmundsdóttir and Orri Huginn Ágústsson. University of Iceland students receive a 20% discount on tickets and 20% off at the theatre bar if you present your student ID. Additionally, you can receive 50% off tickets purchased two hours before a show begins.